REPOSTING FROM FEBRUARY MAMAS AND DADDIES 'CAUSE IT'S SPRING AND BIKINI/SHORTS/MUMU SEASON IS JUST ABOUT HERE. WANT TO GET FIT, HAVE FUN, SWEAT AND JOIN AN INCLUSIVE COMMUNITY OF INDOOR CYCLISTS? COME TAKE ONE OF OUR Cycle in Motion SPINNING CLASSES, AT Cycle in Motion - 509 Valley Street, Maplewood. There's a Groupon that's been running for awhile, and it's cheap: $30 FOR FIVE CLASSES. 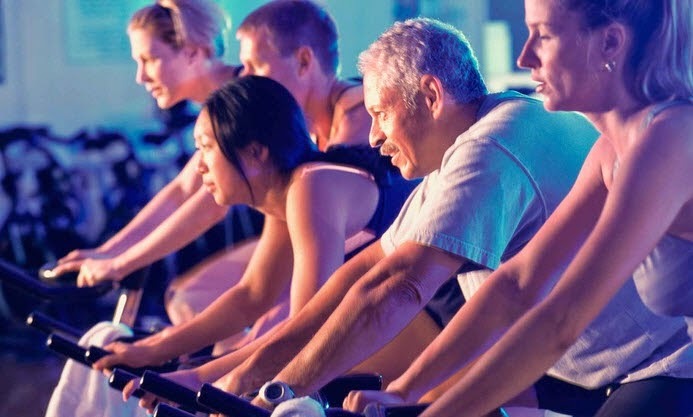 Never been to a Spinning class? Don't be intimidated. Our helpful and caring instructors will give you guidance. Join the Tuscan moms who already ride - and we're always happy to see more dads, too. Got questions? Click Here for Groupon Deal. 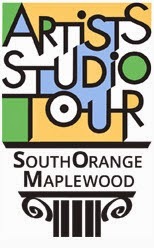 As a Realtor, I sit many Open Houses throughout the year, but there is no better weekend to come out and look at some Open Houses because this weekend marks The 11th Annual South Orange/Maplewood Artists Studio Tour and there will be 46 Artists hosting their own Open Houses. The event will be held on Sunday, June 1st, 2014. This two-town event is presented by the Pierro Gallery of South Orange and 1978 Maplewood Arts Center in celebration of our artistic community. The tour attracts hundreds of visitors to the studios of our local talent to view their art, purchase directly from the artist, and experience their work environment. Commercial venues and alternative exhibition spaces are also available for exposure to artists and businesses in our communities. All Maplewood-South Orange residents are invited to party with friends and neighbors at Tuscan's 3rd Annual Spring Thing. This event will feature a live and a silent auction, a tricky tray, and exciting raffles (an iPad Mini and a Kindle Fire HDX). A delicious array of appetizers, as well as wine and beer, are complimentary. Tickets are $30 per person in advance ($35 at the door). All proceeds will benefit the educational programs at Tuscan Elementary School. Visit our online site to register, purchase tickets, and view the auction catolog. We look forward to seeing you there! Attending a Keller Williams semi-annual meeting about 4 years ago, I had an idea to create free Town-Specific Open House websites. I was certainly a good idea since we now see anywhere from 1,000 to as many as 2,000 hits a month on each of these Open House Websites. The number of sites has grown from the original Maplewood site to South Orange to Millburn/Short Hills, and then West Orange, Livingston and Montclair were added. 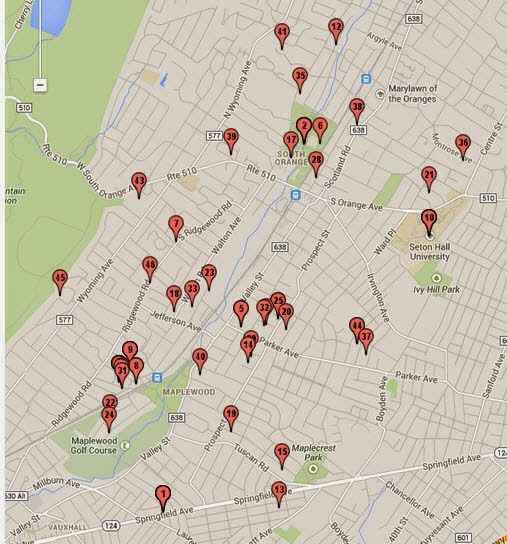 This year we launched Glen Ridge and just last month: Summit and New Providence. So, if I want to stay relevant, I need to act relevant. So voila! 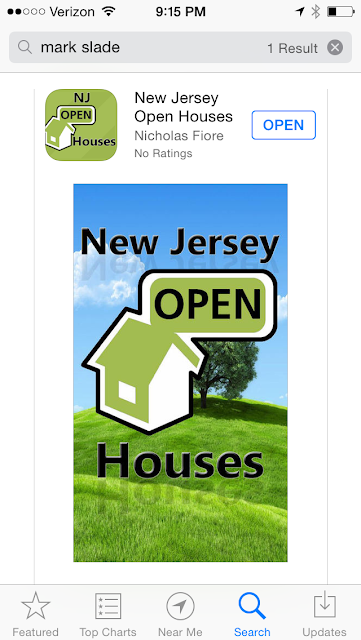 NJ OPEN HOUSES, can now be found on the APPLE and ANDROID APP Stores for FREE Downloads. In addition to the continuing the tradition of being the most reliable list for Public Open Houses and taking it a step further by offering a QUICK-FIND map to help locate then, this new app--NJ OPEN HOUSES--has links to MLS Home Search, my You Tube Channel for all kinds of information and advice, a calculator and so much more. I'm hoping you give this APP a try if you are looking for homes in the Bedroom Communities of NYC.  Home values will appreciate by 4.4% in 2014. 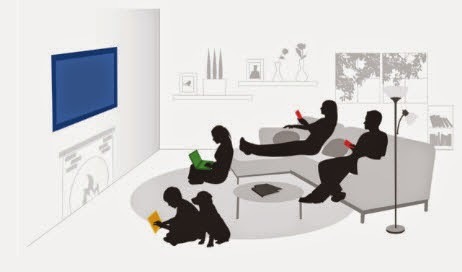  The cumulative appreciation will be 19.5% by 2018. 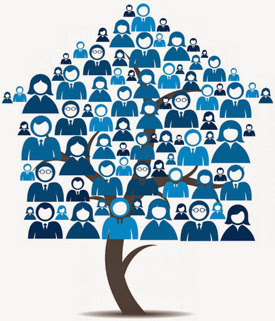  That means the average annual appreciation will be 3.6% over the next 5 years.  Even the experts making up the most bearish quartile of the survey still are projecting a cumulative appreciation of 9.4% by 2018. 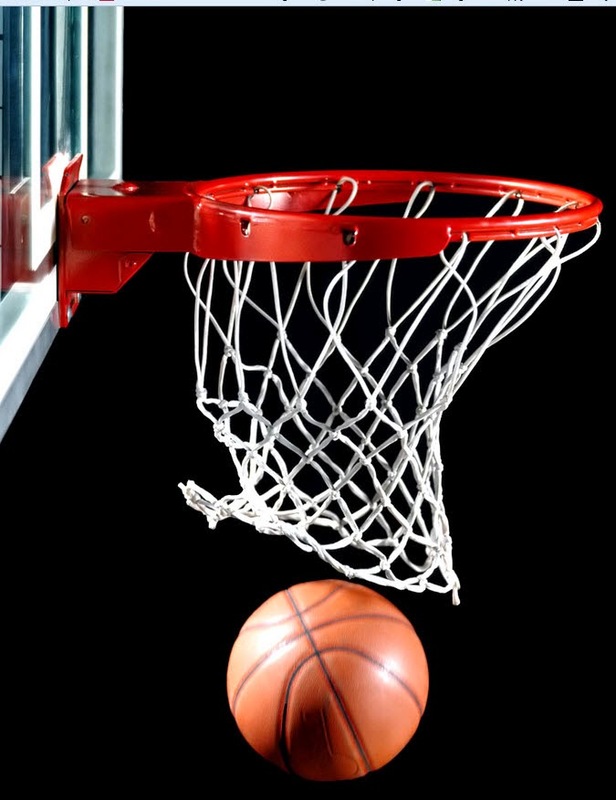 The Maplewood Recreation Department is partnering with Drills Skills and Thrills Basketball LLC to offer an exciting basketball program for children with special needs! Campers will get a chance to learn the game in a fun, safe, and structured environment. The Special Needs Basketball Clinic includes skill development, drills, and structured games held as a group. Come enjoy some fresh spring air while playing some hoops. To register, please visit http://register.communitypass.net/maplewood or call the Recreation Department at (973)763-4202. 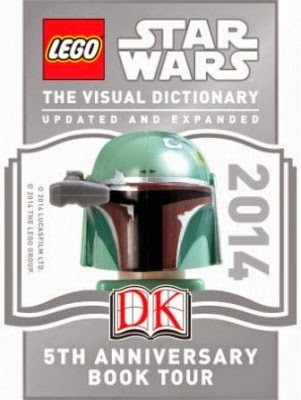 Main Library – May 31- 2:00-3:30 p.m.
Meet the author & model maker of the new Lego Star Wars Visual Dictionary, by Simon Beecroft and Jason Fry. Prizes, Lego building, contests, and fun for the entire family. Come in costume! Maplewood is a picturesque town in Essex County and is located on the East Branch of the Rahway River. Originally consisting of farms, mills and orchards, Maplewood is now a great mix of residential and commercial areas, culminating in the jewel of a downtown village and coming together to create a charming, tight-knit and diversified community. Maplewood has predominantly Colonial and Tudor style homes with sprawling porches and ample greenery, but you can also find some Victorians and a range of more modern style construction on its beautiful tree lined streets. WHAT: Maplewood New Jersey is hosting the 7th annual Green Day fair to demonstrate simple ways that every person can make more planet friendly,sustainable choices in their everyday lives. With an expected turn-out of over 4,000 attendees, the fair is a community celebration with live music, how-to demonstrations, and over 70 eco-vendors, environmental organizations, health and fitness representatives,organic and local food providers and farmers. Green Day offers a variety of events and activities for all ages. WHO: As part of its year-round effort to promote sustainability in the community, the township of Maplewood has a Green Day environmental fair each year. With a long tradition of being a leader in environmental initiatives, the township of Maplewood uses this event to highlight existing programs, share different ways of reducing one’s environmental impact, and engage and teach residents of all ages. The fair is organized by a volunteer committee made up of members of the Maplewood Green Team and municipal leadership and staff. Sponsors: Maplewood Township Committee, PSEG, EcoMatters, Eco Friendly Printer, Soda Stream, Waste Industries, Able Baker, NJ Clean Communities Council and PUR20.